Share of voice (SOV) is a measure of the market your brand owns compared to your competitors. It acts as a gauge for your brand visibility and how much you dominate the conversation in your industry. The more market share you have, the greater popularity and authority you likely have among users and prospective customers. While SOV typically referred to a brand’s share of paid advertising in a competitive marketplace, it has a broader definition that can include various elements of digital marketing and advertising, including mentions on social media and traffic for certain keywords. By knowing your SOV, your brand has a better understanding of the challenges and your current position in the market, giving you more insight into how to achieve growth and captivate users. Divide a target metric that represents your brand by the total in your market or industry. Multiply that number by 100 to get your percentage of market share for that particular metric. For example, if your branded hashtags appear 30 times compared to 50 times for the whole market, you have 60% of SOV, establishing yourself as the leader in your field. There are a wide range of analytics platforms with built-in tools that automatically calculate your SOV relative to similar brands. 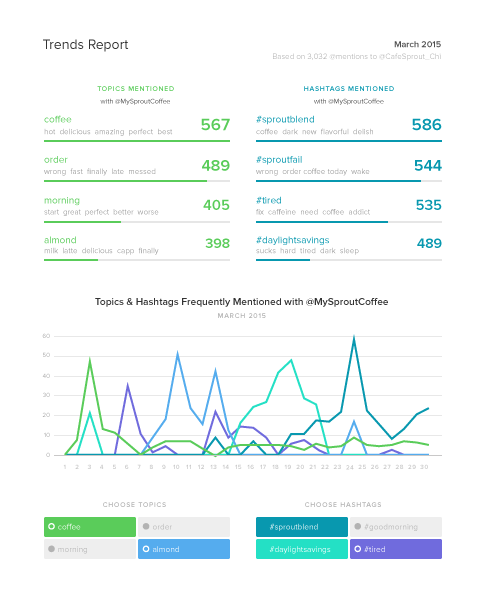 Sprout Social has social media listening tools that analyze the conversations held by users via hashtags and mentions and then calculate SOV among several brands or the entire market. Perform competitive analysis on a market-wide scale. Get the big picture of how competitive the market is and whether you’re an up-and-comer or the dominant player in the industry. Use SOV as a way to segment your target audience. Calculating SOV is a powerful way to analyze your audience, but you can take further steps to organize this data into segments for more insight into your strengths and weaknesses. Look at your SOV within crucial regional markets, demographics and more. Evaluate the success of your marketing campaigns. If you launched a campaign recently, determine whether you made gains in your SOV that indicate your marketing message and tactics were effective. Improve future campaigns based on findings in SOV reports. 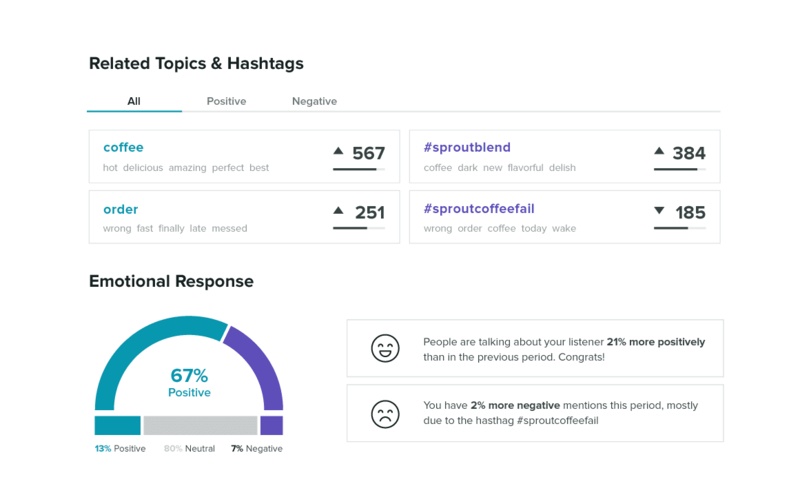 Use the insight from your analytical reports to expand your reach, get involved in social conversations and ensure your voice is amplified across marketing channels.